A stylish serpentine front chaise longue which sits on turned solid walnut legs, terminating on its original brass casters. 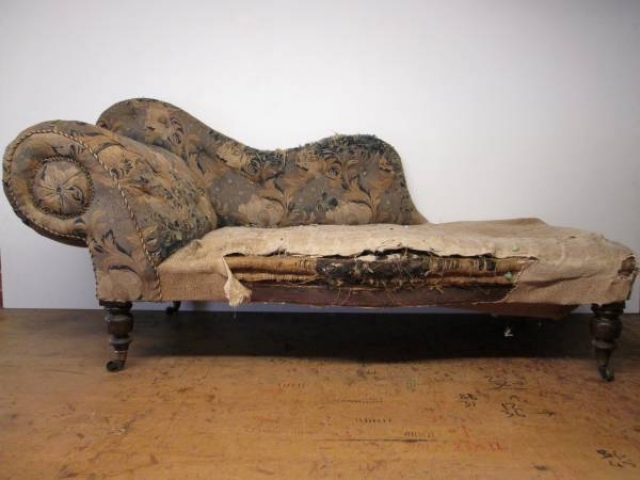 This chaise can be fully restored with new horse hair, springing, coconut fibre etc. 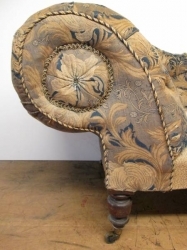 It can be deep buttoned or have plain surface covering with your choice of fabric. Dimensions - height 82 cms, width 167 cms, depth 70 cms.